. 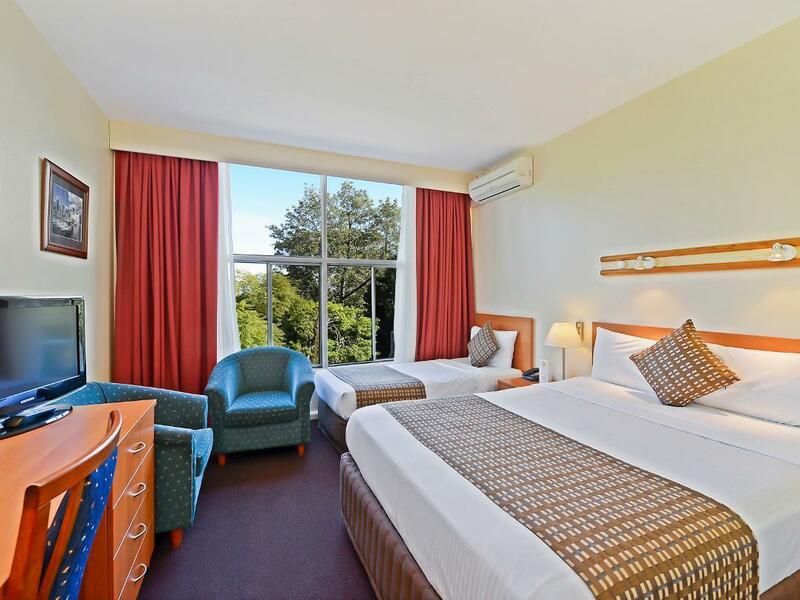 كما يقدم Comfort Inn North Shore Hotel الكثير من الخدمات لإغناء رحلتك في سيدني. يقدم الفندق فرصة للاستمتاع بشريحة واسعة من الخدمات بما فيها: خدمة التنظيف يوميًا, تسجيل وصول/خروج سريع, تخزين الأمتعة, واي فاي في المناطق العامة, صف السيارات . بالإضافة لهذا,تتضمن كل غرف الضيوف مجموعة واسعة من وسائل الراحة . بعض الغرف توفر حتى تلفزيون بشاشة مسطحة, غرف لغير المدخنين, مكيف هواء, تدفئة, خدمة الإيقاظ لإرضاء أكثر الضيوف تطلباً. كما أن مجموعة الخدمات الواسعة الموجودة في الفندق لضمان راحتك تترك لك الكثير من الخيارات لقضاء وقتك أثناء فترة إقامتك. 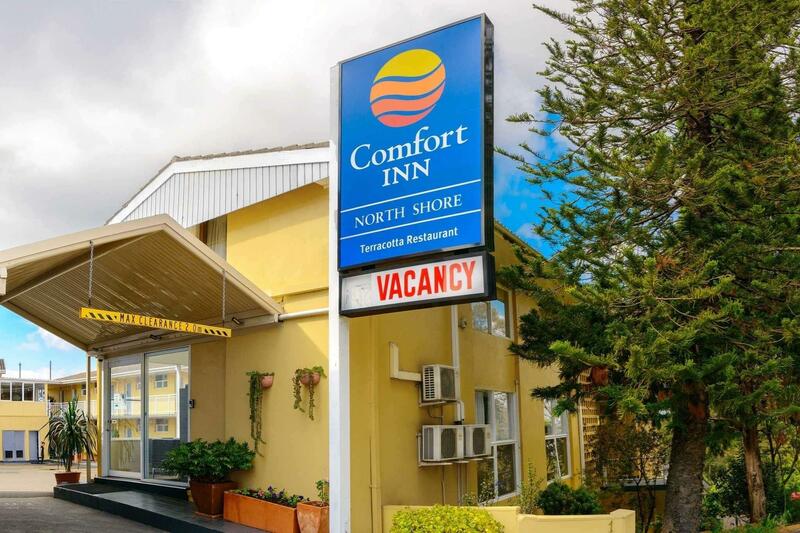 إن Comfort Inn North Shore Hotel هو خيار ذكي بالنسبة للمسافرين إلى سيدني، بما يوفره من إقامة هادئة ومرحة. Close to city. Plenty of free car parking. Room was neat and tidy. Good value for money. I stay here a lot. Easy free parking and easy to go west, into city or head North. Rooms are basic/good for a motel. Had everything required for a business stay. It is close to restaurant which was good because the restaurant at the Comfort Inn was not worth the visit. Breakfast was not very good. The coffee came out of a machine and was the worst coffee I have ever had. The room was small and I could hear the people in the next room. The TV would not work and I could not see why. I had to ask to be moved rooms as I was given a connecting room which was right next to the restaurant and was very noisy. 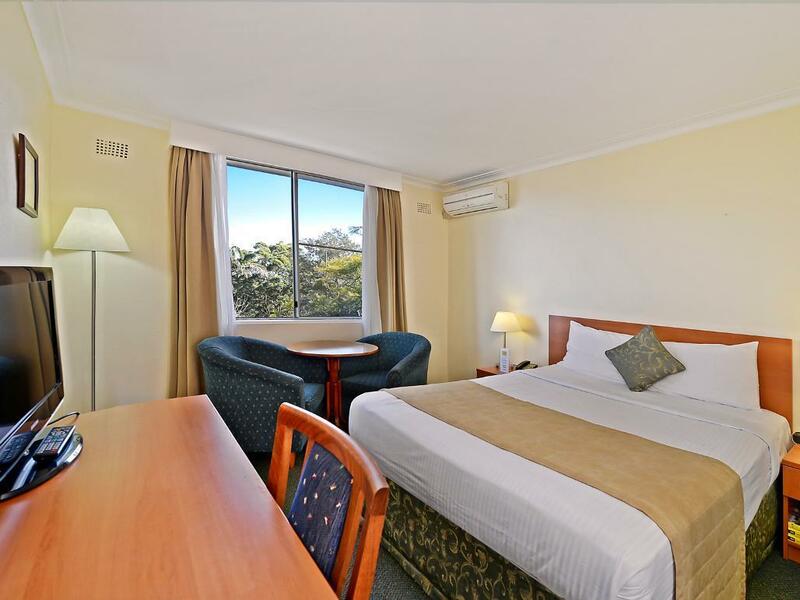 This motel is located on the Pacific Hwy, Lane Cove, near the junction of the M2. 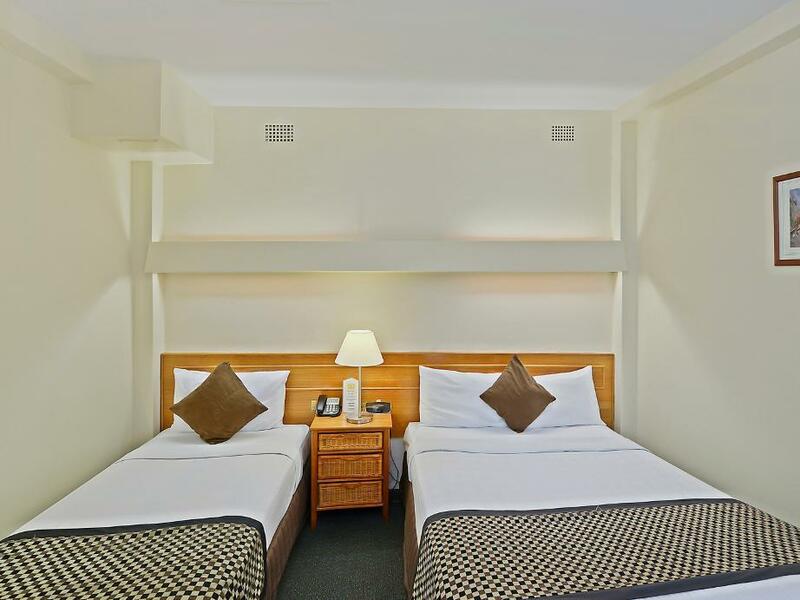 Apart from navigating through back streets on arrival from the north, the place has comfortable bedding, ac, tea and coffee facilities, a fridge and limited free wifi. Very good value for money, neat and tidy. Limited breakfast, especially for vegetarians. Almost no options in dinner. Basically a bread & breakfast place near the highway, quiet as it is slightly off the highway. Friendly, helping staff. Good limited wifi. Ample parking. I would stay again if I had work in North Sydney. Location, staff, rooms were clean. Short, we were booked in for two nights but it was way to cold a place, so we only stayrd the one night. The recycle heating worked poorly, no electric blankets, no microwave. Might be nice other time of the year but way too cold for now. 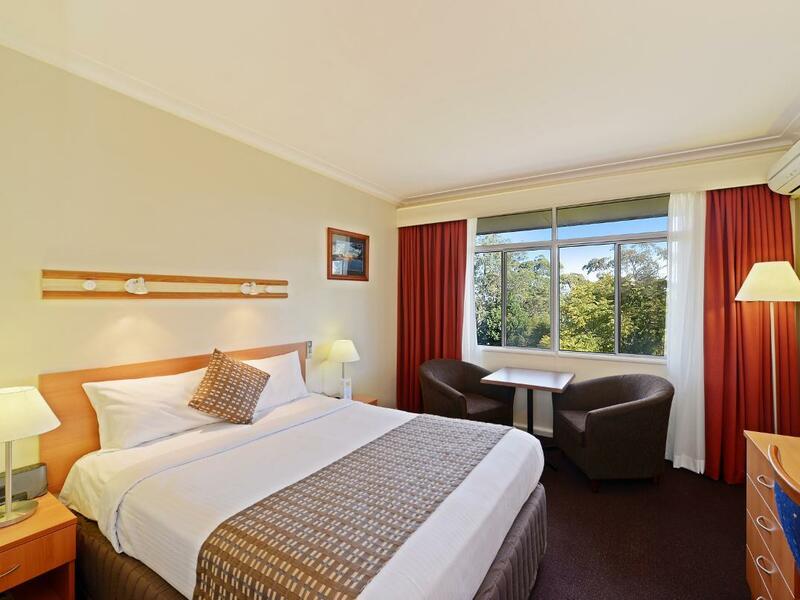 Needed a quiet overnight stay close to Chatswood, that was economical and clean. Ticked all the boxes. 1. Comfortable bed 2. Clean Room. 3. Good sized towels. The room itself (for a budget/affordable room ) was very clean, presentable. There was little road noise given it was off the main road which was nice. There was no fridge in the room and the facilities are basic. Sadly, the stay at the motel was tainted by the very very very poor attitude of the fellow that answered the door. He said very little, showed no level of courtesy or understanding of the concepts customer service. He even went to great lengths to complain to me about the website at which I had booked and that they shouldn't have accepted a booking after 10pm. I can't remember ever feeling so awkward staying at a motel. Advice, stay away until they have new staff/managers, once they do it would be a reasonably good place to stay.